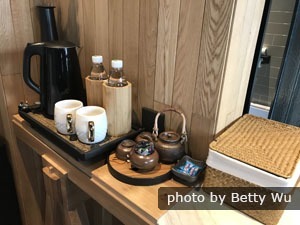 From small, simple hostels (1-star) to giant luxurious hotels (5-star), the size, quality, and brands of hotels in China are as variable as the demands and means of the customers. With such a and variety of hotels, star ratings give us an idea of what to expect. However, standards cannot be judged precisely from star ratings, as the approach and manner of rating in China and that in the West might is not the same. All around the world hotels are rated from one to five stars by official national and international bodies, but there are various systems, like the AAA (American Automobile Association), the AA (Automobile Association) in the UK, the AAC (Australian Auto Clubs), or the HOTREC star system in Europe. 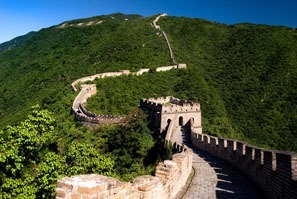 In China, hotels are officially rated by the China National Tourism Association (the CNTA, a government regulatory body). You can see CNTA star ratings on some websites: hotels.com for example. Although many systems of ratings have evolved over the years to standardize hotel ratings, no acceptable universal system has yet been established. 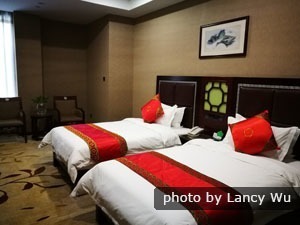 A hotel in China usually would not have the same facilities, services, or specification as an identically rated hotel in the US, for example, owing to the difference in the rating style. 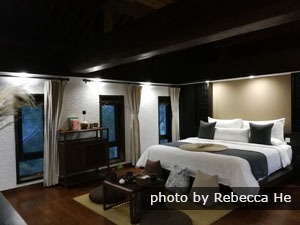 However, with tourism being one of the fastest growing industries in China, hotels are fast improving their facilities to Western standards, especially in the major cities. In the 90’s it was seen that the ratings given by customers in Chinese hotels were considerably higher than those in the West, but this is attributed to the fact that much importance was given to "face". Chinese people would give a good rating and avoid complaining even if things were not according to expectations. Even though the trend is changing now, Chinese customer ratings can still be misleading. Conversely, people in the West normally paint the true picture based on reality, and do not hesitate in giving a lower star rating. Customer ratings are useful for potential customers as a balance to official CNTA ratings, which are sometimes misleading. Commercial sites like TripAdvisor (where you can choose the language of reviewers) and Booking.com take into account customer reviews and have their own one-to-five-star ratings for hotels. With extravagant lobbies, cutting-edge interior design and opulent furnishings, these hotels offer expert service and unparalleled comfort to guests. Their own fleets of Mercedes limousines of Toyota vans that make regular runs to the airport or city center. Executive floors with concierges and free continental breakfasts; the best Western food and probably the best Chinese food in town, and the most luxurious breakfast buffets. Many have magnificent ball rooms and lobbies and cater to foreign business people on expense accounts. 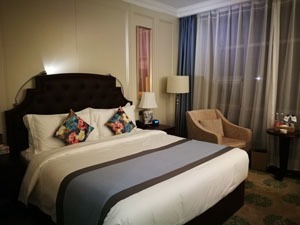 Nowadays, in China&apos;s 5-star hotels, the large rooms have premium linens, personal Jacuzzi tubs, large screen plasma TV, fresh flowers, high-end lavish bath products and a touch of elegance in everything you see. Amenities include luxurious spas offering a variety of services, swimming pools, whirlpool tubs, state-of-the-art fitness centers, butler service, designated concierge, and a range of transportation options. Business facilities include meeting rooms, multimedia service, translation service, courier services and a host of other facilities to make your stay as efficient as possible. 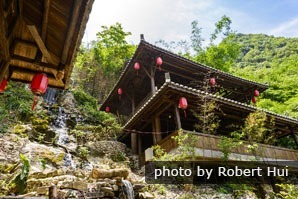 Examples of 5-star hotel chains in China are Crown Plaza Resorts and Hotels, Four Season Resorts and Hotels, Grand Hyatt, Marriot Hotels and Resorts, Intercontinental Hotels and Resorts, Ritz Carlton Hotels, The Peninsula, and Mandarin Oriental Hotels. Around 200 hotels from a total of 1600 made it to the winner&apos;s list in the Forbes 2018 Awards. Notable among these are the following 5-star hotels: Four Seasons Hotel, Grand Hyatt, Mandarin Oriental, The Peninsula and The Ritz Carlton. Each of these chains was crowned in more than five locations in China. 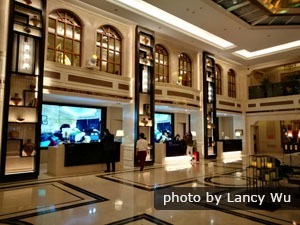 Chengdu was a new location added to the Forbes list this year , with its 5-star St. Regis hotel making it to the winners. These are large, upscale establishments designed to give comfort and luxury to guests. Luxurious and spacious sound-proof rooms, low-noise toilets, and hair dryers. 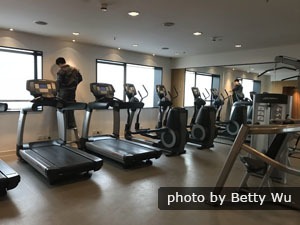 They should have guests and service elevators, background music, health club, swimming pool, sauna, business center, greenhouse, 24-hour doorman, reservations accepted through fax/telex, 24-hour room service, and onward reservations in China for guests. A guest reception and assistant manager should be available in the lobby 24 hours a day. Laundry should be returned by next day. The restaurants in four-star hotels should provide two kinds of Chinese food with the last order no earlier than 9pm. Bar service should be available to 1 am. There should be a 24-hour coffee shop and a breakfast and dinner buffet. A clinic should be on-site. A business center with photocopying, typing and translation services should be available, as should a ticketing agency with city tours and babysitting services. Today, four-star hotels have loads of special services like fine dining with local and Western cuisine, high-class fitness centers, spas, sauna, massage, meeting rooms and business facilities. They also have concierge service, luggage storage, currency exchange, tour desk, ticket service, ironing, and dry-cleaning facilities. Transportation services are also provided, ranging from airport pickup to limousine service. 4-star chains in China include Courtyard by Marriott, Holiday Inn Hotels and Resorts, JI Hotels, Ramada, and Vienna International Hotels. These hotels are ideal for those who want a comfortable stay without spending too much. Guest rooms must be well decorated, with dressing table, desk, drawers and closet; carpet or wood floor; telephones in every room with international direct dial (IDD); mini-bar and refrigerator; color television sets, in-house movies, music; writing materials; sun-proof curtains; and bed turn-down service. They must have single rooms and suites, western and Chinese dining rooms (with English-speaking attendants, and the last order no earlier than 8:30pm), 16-hour coffee shop, banquet hall or function room, buffet breakfast and bar service (until midnight), and 18-hour room service. They must also have elevator service, washroom, equipment and service for disabled people, disco or karaoke, foreign exchange, safe deposit boxes, store, camera film developing, fax and telex service, luggage storage, 24-hour laundry and dry-cleaning, wake-up calls, shoe polishing, and taxis. They should be able to mend articles of everyday use for guests. China Daily and China Tourism News should be on sale (or free). They must have an emergency electricity supply for public areas, medical services, 16-hour a day doorman, and message service, guest reception, and managers on call. An assistant manager should be in the lobby 18 hours and railroad timetables available. They should accept major credit cards. 3-star room provisions are high quality, but typically use less space. Nowadays, all rooms should have air conditioning, free Wi-Fi, flat screen TV with satellite channels, free toiletries, hairdryer, ironing facility, minibar, electric kettle, and wake-up service. They also offer many on-site facilities like bars and restaurants, fitness centers and some degree of room service. Business facilities often include fax service, meeting and banquets halls. 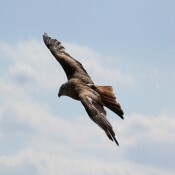 Their location is usually convenient, near major attractions and business areas. 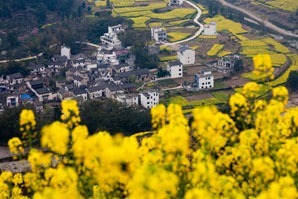 3-star chains in China include Green Tea Inn, Hanting Inn and Hotels, JI hotels, Vienna Hotels, Jin Jiang Inns and Home Inn Plus. These are simple accommodations for budget travelers. Similar to 1-star, and quite a step down from 3-star, the following might give you an idea of their differences. The CNTA once specified: 2-star hotels must have at least 20 guest rooms, 95% with private baths, 50% with telephones, and 16 hours of cold and hot running water. Western and Chinese breakfast must be offered (this seems the biggest difference from 1-star, but don&apos;t rely on breakfast provision or its quality). Nowadays, they are clean, have free Wi-Fi, air conditioning, flat screen TVs, electric kettles, and free toiletries. Examples of 2-star hotel chains in China are Plateno hotels (7-day Inn), Green Tea Inn, Hanting Inn and Hotels, Super 8 and Motel 168. This is the lowest rating given by the CNTA, and hotels only have to pass the basic standards for cleanliness, security, and facilities. Rooms are typically small and simply furnished. Once upon a time the CNTA stipulated: 1-star hotels must have air-conditioning, coffee shop, dining room, and at least 20 guest rooms, cleaned daily. 75% must have private bathrooms. They must have central heating, a lobby with information and reception desk, postal service, and 12-hour a day cold and hot running water. Hotels in remote mountain areas are more basic and star ratings are unreliable: you pay more for the location/view than the service/amenities. Prices bands in China vary from place to place. You will get the same star rating for less in more out-of-the-way places. A 5-star hotel in Gansu may cost the same as a 4-star hotel in Shanghai and a 3-star hotel in Hong Kong. Where the average price of a single room in a hotel chain in Hong Kong is more than 600 yuan, it may be about 350 yuan in Shanghai and around 250 yuan in Chengdu. The price of hotels in Hong Kong and Macau tend to be the higher than those in mainland China, and star ratings are most comparable the West. Even within the Mainland, hotel prices vary, the highest being in the first-tier cities like Beijing and Shanghai. 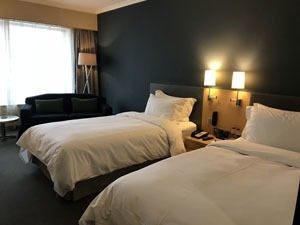 Those in the second and third-tier cities tend to be lower, and hotels of the same star rating may be lacking in some of the high-end facilities that hotels in first-tier cities provide. Small cities might not have four or five-star hotels. Pricing in China, especially outside the major cities, is comparatively much less expensive than the West and one can enjoy e.g. 5-star luxury for a lower price. Sometimes basic facilities, like hot water provision, might not be up to the mark in some fourth-tier remote areas and hotel amenities may not conform to their star ratings. With so many hotels available and new ones continuously opening, we always turn to star ratings to have an idea of the facilities offered. 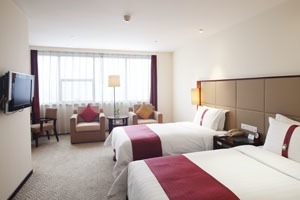 However, as ratings vary from place to place, one should be careful about what to expect from hotels in China. 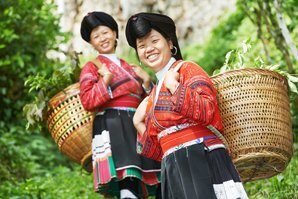 We are tailor-made China tour experts, who have been leaders in this sector for 20 years. Along with all other aspects of your individually-designed tour, your travel advisor will find the best hotel for you and your itinerary. Though star ratings may be different here, your hotel arrangements will be as close to your personal style and requirements as possible. 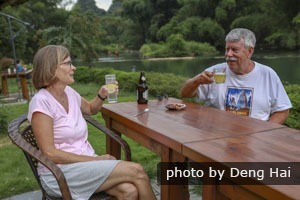 We recommend Yangshuo Mountain Retreat for its excellent location and service. Classic Wonders : 83% started here last year — Appreciate the wonders of Beijing, Xi’an, Guilin, and Shanghai your way in 11 days. 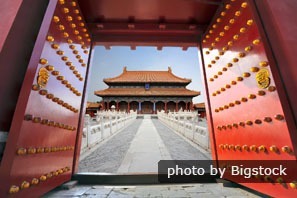 For more inspirational itineraries, see our China private tours pages. For a free bespoke itinerary suggestion and quote, including hotels, use our Create My Trip service .